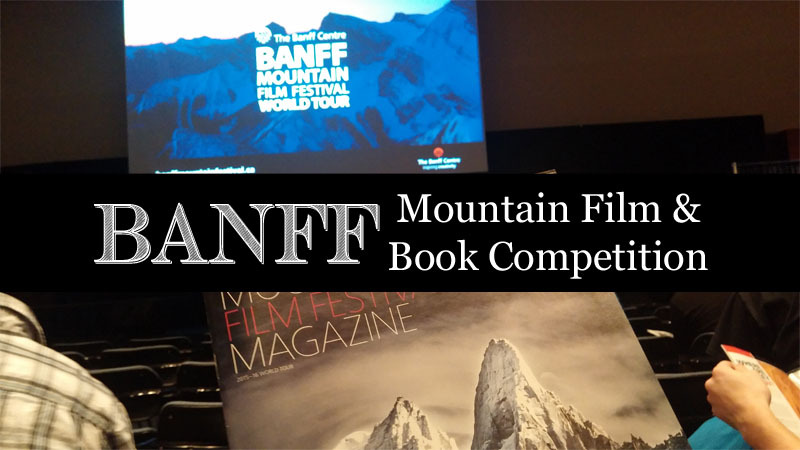 Every year the Banff Film and Book Competition is held at Banff, Alberta Canada. This is an international competition and an annual presentation of short films and documentaries about mountain culture, sports, and environment. It was launched in 1976 as The Banff Festival of Mountain Films by The Banff Centre. Held concurrently is the Banff Mountain Book Festival which brings the spirit of mountain literature to Banff, and features guest speakers, readings, seminars, and an international book competition. Even if you can’t make it to the actual festivities in Canada, you can still get a taste of it through the touring film festival. Hubs and I attend the Banff Film Festival every year when it hits our area. When you attend the film festival you are going to see about three hours worth of short films on outdoor sports and nature. Each hosting area gets to choose a smattering of films from all the films that won awards that year to show. I have to start by showing you the Banff Mountain Film Festival World Trailer Tour. The energy at the film festival every year is incredible and when this trailer comes on, my heart starts to race. This is one of the reasons I love to come every year. I feed off of the vibe and use it to fuel my excitement for my own adventures. It’s a seriously cool event! I didn’t get to see every video at the tour I attended but you can see trailers of many of them here and here. As an outdoor enthusiast, I love this event and really look forward to it. Even if you’re not super outdoorsy, I guarantee you’ll be inspired by the films and books included. Do you participate in any of these kinds of sports? I’ve dabbled in rock climbing and I cycle some but my main outdoor love is hiking.